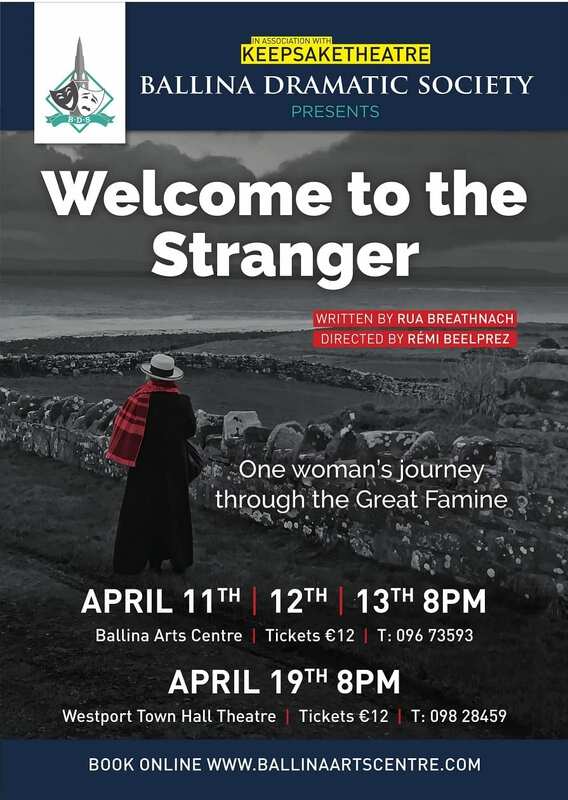 Ballina Dramatic Society in association with Keepsake Theatre presents Welcome To The Stranger, a new play inspired by the eye-witness accounts of an extraordinary American woman, Asenath Nicholson, who travelled through Ireland during the Great Famine. One woman’s journey through the Great Famine is playing at Ballina Arts Centre in April on the 11th, 12th, 13th at 8pm. This production is suitable for children and tickets are available from Ballina Arts Centre for €12. To book call (096) 73593, or visit www.ballinaartscentre.com.